French craved fireplace from marble. A bold marble mantel with large hand carvings of scrolls and flowers. 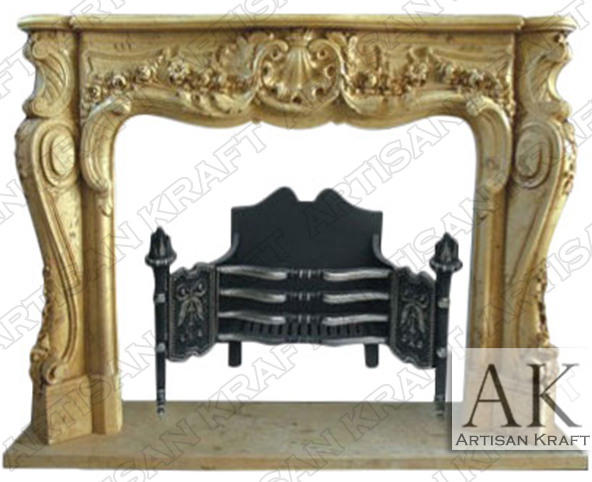 This fireplace mantel has French design with Baroque influence and a Victorian style. A great regal antique fireplace. View this model in a different stone and with a cast iron grate below. Buy this and other great French surrounds. 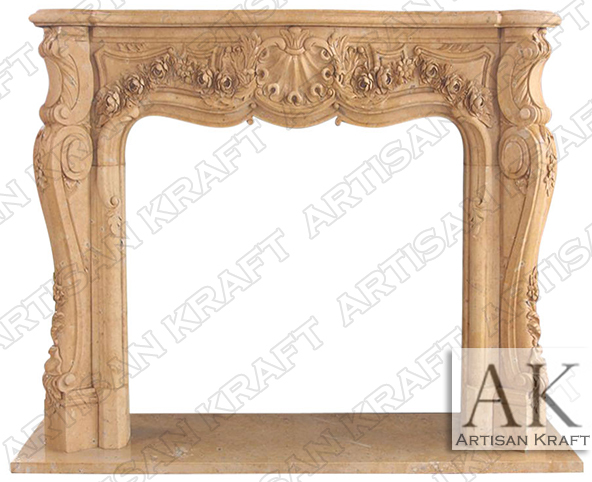 This can be found on our sale page which lists our stock mantels. Typical Dimensions: 65″ wide x 53″ high *can be made to custom dimensions.